I’m delighted to share the good news below with all of you. Thanks for sharing this moment with me. June 30, 2014—The Foreword Reviews’ IndieFab Book of the Year Awards, judged by a highly selective group of librarians and booksellers from around the country, were announced on June 27th, 2014 at the American Library Association Annual Conference in Las Vegas. The Curse Giver, written by Dora Machado and published by Twilight Times Books, won silver in the fantasy category. 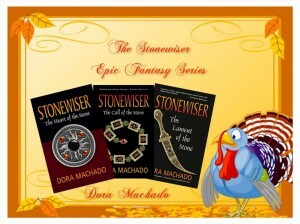 Ms. Machado, who lives Florida, is the author of the award-winning Stonewiser series. 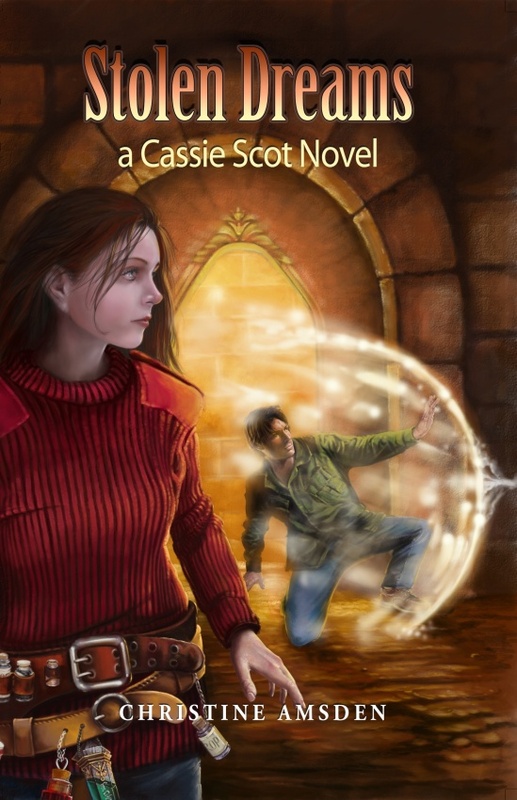 Her latest novel, The Curse Giver, is also a Finalist in the Fantasy category of the 2013 USA Best Book Awards. Ms. Machado adds the distinguished 2013 IndieFab Book of the Year Award to her growing list of credits, which also include the 2012 Independent Publisher (IPPY) Silver Medal for SF/F, the 2010 Independent Publisher (IPPY) Gold Medal for SF/F and the 2009 Benjamin Franklin Award for Best Debut Novel. Foreword’s IndieFab Book of the Year Awards program was created to discover distinctive books from the indie publishing community across a number of genres. What sets the awards apart is that final selections are made by real judges—working librarians and booksellers—based on their experience with patrons and customers. Representing hundreds of independent and university presses of all sizes, IndieFab winners were selected after months of editorial deliberation over more than 1,500 entries in 60 categories. The editors and staff at Foreword Reviews love indie books and the art of great storytelling. They discover, curate, critique, and share reviews and feature articles exclusively on indie-publishing trends. Foreword Reviews’ quarterly print magazine is distributed across the United States to librarians, booksellers, publishers, and avid readers, and is available at most Barnes & Noble, Books-A-Million, indie bookstores, and by subscription. Foreword’s website features a daily stream of reviews of indie books written by a team of professional, objective writers. For a full list of the winners searchable by category, publisher, title, and author, visit Foreword Reviews online. 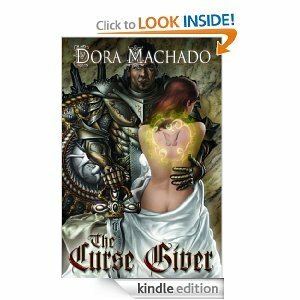 Dora Machado is the award-winning author of the epic fantasy Stonewiser series and her newest novel, The Curse Giver, available from Twilight Times Books. She grew up in the Dominican Republic, where she developed a fascination for writing and a taste for Merengue. 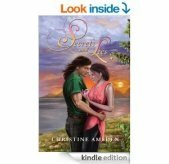 After a lifetime of straddling such compelling but different worlds, fantasy is a natural fit to her stories. 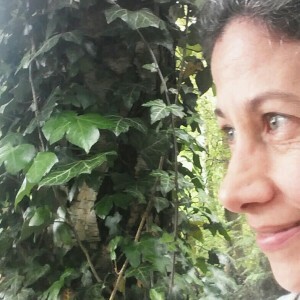 When she is not writing fiction, Dora also writes features for Murder By Four, an award winning blog for readers and writers and Savvy Authors, where writers help writers. She lives in Florida with her indulgent husband and two very opinionated cats. I’ve been getting a lot of questions from you regarding how I came up with the original concept for The Curse Giver. In an effort to answer these questions, I’d like to share this essay that I wrote for The Curse Giver‘s release. So, you’ve been wondering: How on earth did I come up with the concept for The Curse Giver? The Curse Giver was an accident, a professional indiscretion, if you will, conceived during one of my little escapades, and born out of unchecked passion. Yep, I might as well come clean. Even the most disciplined writer can be unfaithful to her projects, and no matter how thoroughly taken one is with one’s current novel, the danger for a tangent is always there when venturing into the world of research. So there I was, researching one book, working hard to finalize the Stonewiser series, when I came across this insidious little idea that kept disrupting my train of thought. Now, to understand the story behind The Curse Giver, you must understand me and my writing habits. I’m not easily distracted. When I’m writing a novel, my brain goes into hyper mode. I’m disciplined, motivated and focused to the point of obsession, which is why The Curse Giver was such a surprise to me. The subject of curses has always fascinated me, not only because curses are such a vital part of magic and fantasy, but also because they are so prevalent to the human experience. To be honest, I had always been intrigued by the subject, but didn’t delve into it, until one very late night—or was it very early morning?—when the wind rattled my window as a coastal storm blew in from the sea. The clay tablets that popped up on my screen dated from 600 BC and were part of the library of Nineveh, also known as the library of Ashurbanipal, the oldest surviving library of cuneiform tablets. This is the same collection that gave us the famous Gilgamesh epic. Visually, the tablets weren’t much to look at, chicken scratches on clay. But the translated words had an impact on me. I know, hardly an inspiration for most. Me? I immediately thought of the man who had been thus cursed, of the pain and hardship such curse would bring upon him and his people, of the character that eventually became Bren, Lord of Laonia in The Curse Giver. From there on, the curses flowed before my eyes, mysterious ones from ancient civilizations in Egypt, India and the Far East; thin lead tablets dating from the Greco-Roman world, judicial prayers, secret invocations, warnings and love spells that streamed into my consciousness. I knew I should get back to my original research, and yet I was smitten with the subject. There were curses quoted from the Bible, medieval curses, real and forgeries, Viking, Celtic, Germanic, Visigoth, Mayan, Incan, Hopi, you name it. There were ancient curses but also modern curses, some associated with Santeria, voodoo and the 21 Divisions, religions that are common in the Dominican Republic where I grew up. Who would cast these curses and why? What kind of creature could be capable of such powers? What would motivate a person to curse another one? As I explored these questions, a character profile began to emerge in my mind, someone whose understanding of good and evil was very different from my own. Sorting through the research, I could see that some curses had practical applications to make sure people did what they were told. They served as alternate forms of law enforcement in lawless societies. Some were obviously malicious. They were meant to frighten and intimidate. Some were more like venting or wishful thinking. It turns out that mankind has been casting curses since the beginning of time and will probably continue for as long as we have the imagination and faith to do so. A new question formed in my mind. Once cursed, what could a person do to defend himself? A third character emerged from this question, Lusielle, a common remedy mixer, a healer of hearts and bodies, someone who didn’t realize the scope of her own power until it began to transform her life. Eventually, I wrestled myself out of the trance. I had a book to write and a series to complete. I had deadlines. But my little detour had made an impact. The concepts were at work in my subconscious, coalescing into a new novel, fashioning these powerful characters who demanded their own story. My encounter with curses had been but a slight detour from my research plan, a tiny deviation, an indiscretion to my schedule, but the seed had been planted and The Curse Giver thrived, even if I didn’t know it yet. 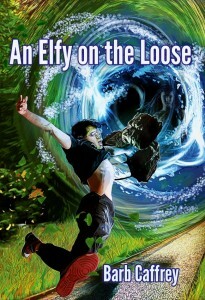 “Barb Caffrey’s An Elfy on the Loose is a fresh and unexpected take on the urban fantasy genre with a charming and original protagonist. 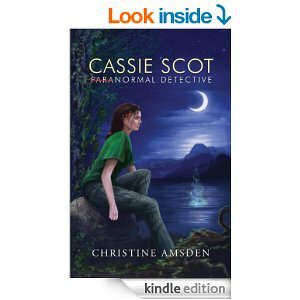 You’ll want to read this one.” – Rosemary Edghill, author of Dead Reckoning, Music To My Sorrow and the Bast Mysteries. So without further ado, here’s a little bit about this enchanting story. One Elfy for an entire planet? He’s supposed to be the Watcher for his people, the representative on Earth from his dimension, but the small being known to his enemies as “Jonny-Wonny” wakes up to big trouble — trapped in a bizarre house in Knightsville, California with humans straight out of reality TV. Jon knows that something has gone dreadfully wrong — he’s starving, lonely and dressed in funny clothes. Enter the couple’s ten-year-old diminutive daughter, who is “Not Daisy!” but is brilliant, sweet…and using high level magic with ease. She’s also desperately in need of a friend. Insisting her name is really Sarah, and christening him Bruno, his new friend asks him how they’re going to get out of there. The only thing that comes to mind is for Bruno to ask his teacher, Roberto the Wise, for help. But Roberto’s attempt at help only enmeshes all three of them further in a web of deceit and treachery. Bruno finds out that, unfortunately, most of what he thought he knew about himself was very wrong…and much of what Sarah knows about herself is also wrong, including her age. Worst of all, a Dark Elf is on the scene and is intent on corrupting the local Humans, including Sarah’s parents. New names, new locations, a new mission–Bruno is going to get to the bottom of all the craziness, and Sarah will be there for him every step of the way. Watch out, universe–an Elfy is on the loose! 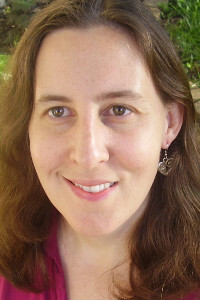 Barb Caffrey is a writer, editor, musician, and composer. 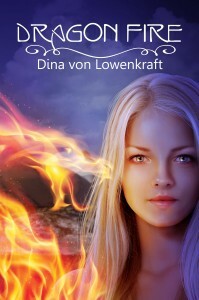 She holds two degrees, is an inveterate and omnivorous reader, and is the writer of the comic urban fantasy romance AN ELFY ON THE LOOSE (book one of the ELFY duology), available now from Twilight Times Books. She follows politics, loves sports, watches far too much reality TV and is mystified by the “Maury” show. What all this says about her is anyone’s guess. If everything goes as planned, by this time you read this, I’ll be on a plane to Japan. Even though I’ve been to Asia Minor before, this will be my first trip to Asia proper. I’m so excited! For this trip, I’ve had to make zero planning effort. That’s because I’m teaming up with one of my all-time favorite traveling companions, travel blogger Mariana Marshall of http://marianaonthemove.com/, with whom I walked the last 100 kilometers of the Camino of Santiago de Compostela. She is also my daughter. The advantages of tagging along with a travel blogger can’t be understated. My traveling companion carefully researched and selected the itinerary and made all of the traveling arrangements, transportation and lodging reservations. I just get to come along for the ride! 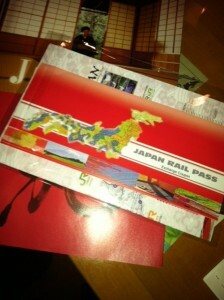 We’ll be spending some time in Tokyo and then traveling on to explore Kyoto and its environs. We’ve got a very long list, but I’m looking forward to staying at a traditional Japanese guest house (ryokan), exploring the natural hot springs (onsens), and riding Japan’s fabulous bullet trains. Packing for Japan in the winter had me asking a lot of questions, but travel bloggers are Girl Scouts at heart, and mine found this awesome packing list from a fellow blogger: http://herpackinglist.com/2012/12/ultimate-female-packing-list-japan-winter/. My writer’s packing list must, of course, include my computer, tablet and cell phone. We don’t speak the language, so we’ve uploaded some interesting apps that might help if all else fails. I’ll let you know how that goes. Technology is a wonderful convenience, but I’ve learned that, when traveling, it isn’t always reliable. So in addition, I’m bringing a good, small, old-fashioned notebook to jot down my thoughts and observations, a few good pens, and my camera, all indispensable tools that will work with or without an Internet connection, and that are suitable to all environments. 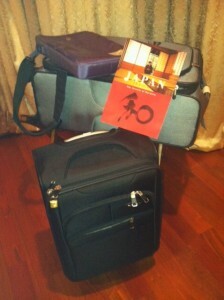 But the most important elements for a successful trip are stowed not in my suitcase, but rather in my mind. They include flexibility, openness and imagination. Flexibility is key when traveling, the ability to roll with the punches, accept, adapt and adjust to the changes intrinsic to the traveling experience. From airports to hotels, from technology to people, traveling exposes us to new situations that test our comfort levels and push our boundaries. An open mind is also vital to the traveling experience. It allows us to see the world for what it is, not for what we think it should be. It also teaches us to value the differences that make each place unique and each culture extraordinary. And finally, I bring along my number-one writing tool, my imagination, to take in the sights, sounds, smells and tastes that I’ve never experienced before, to relish the emotions of the journey, to collect the odd, the common and the spectacular, to understand and process the experience of being human. For a gal into world building, the traveling experience is a rich trove indeed. I just got back from beautiful Colorado. Here’s a post I wrote about my writing experience in the Rocky Mountains. 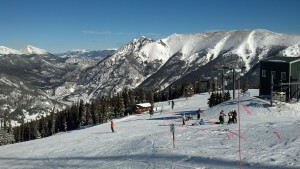 Colorado has to be one of my favorite places in the world. The views of the Rocky Mountains are breathtaking. The people are friendly, fit and youthful, no matter their age. Nature indulges, facilitating so many of the activities for which the State is known, skiing, snowboarding, snowshoeing, biking, hiking, fly-fishing, rafting and . . . writing? It’s easy to find inspiration among these mountains. It’s easy to keep the mind focused when surrounded by such stunning vistas. I find myself energized by the folks who tackled the slopes with the same energy and enthusiasm I feel when I tackle a story. It goes against the principles of oxygen deprivation, but I find that the mind flows effortlessly at ten thousand feet, especially after a few hours of skiing or snowshoeing, and a little nap. 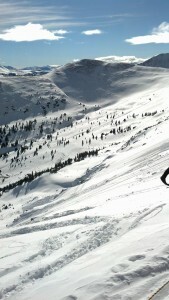 We’ve had some epic snow dumps so far this year and the snow has been delicious. 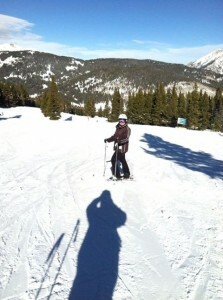 Those of us who frequent Copper Mountain, Colorado, on a regular basis, couldn’t be happier. I heard a few people complaining about the cold weather this year, but I’m not one of them. When the going gets tough on the mountain, when the wind picks up and you can’t see the chair lift in front of you, I head indoors. The way I see it, it’s time for some serious writing. I’ve produced some of my best writing in Colorado. These mountains have inspired thousands of words out of me. I’m always grateful for the opportunity to come out to Colorado and share in the state of mind that makes it such a great destination for outdoor enthusiasts and, yes, for writers too. This is a big week for print book releases from my publisher, Twilight Times Books. So today, I’d like to introduce you to some of my talented fellow authors and their new print novels, which are also available in ebook format, including Kindle and Nook. I hope you’ll find these titles as intriguing as I did. Join me in giving these wonderful authors a read. 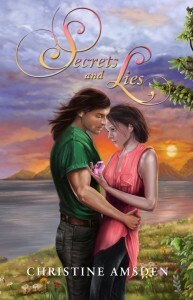 True love was the last thing David Cooley expected to find in the Bahamas, But the moment he laid eyes on Faren Sands, he knew he had found the girl of his dreams. How could he know she was a mermaid from the lost island of Atlantis? 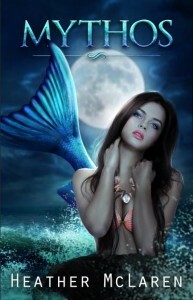 Because of the strict laws regarding human contact, the couple flees the consequences of their forbidden passion, struggling to survive a conflict that has been brewing between the mermaids and sea demons for the last eleven thousand years. 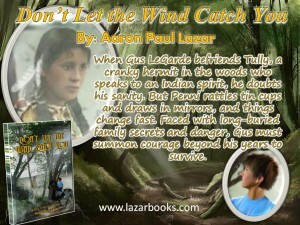 Once the epic battle begins, fate forces David to make a decision that will forever affect his young life. Should he stick by the woman he loves, risking his mortality for a civilization that hates him? 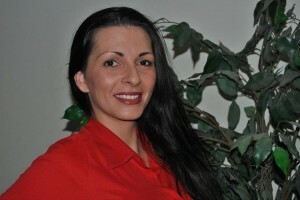 Heather McLaren is a Cherokee writer living in southern Illinois with her husband and four children. Mythos, the first of five books in the Mer Chronicles, is her debut novel. 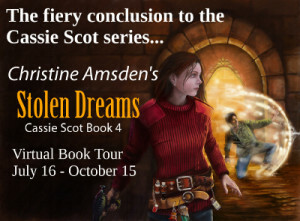 She is currently working on the second book in the series, Beyond Legend, and plans on bringing fantasy into the lives of young adults for years to come. When seventeen-year-old Anna first meets Rakan in her hometown north of the Arctic Circle, she is attracted to the pulsing energy that surrounds him. Unaware that he is a shapeshifting dragon, Anna is drawn into a murderous cycle of revenge that pits Rakan and his clan against her best friend June. Torn between his forbidden relationship with Anna, that could cost them both their lives, and restoring his family’s honor by killing June, Rakan must decide what is right. And what is worth living – or dying – for. Born in the US, Dina has lived on 4 continents, worked as a graphic artist for television and as a consultant in the fashion industry. Somewhere between New York and Paris she picked up an MBA and a black belt – and still thinks the two are connected. Dina is currently the Regional Advisor for SCBWI Belgium, where she lives with her husband, two children, three horses and a cat. Dina loves to create intricate worlds filled with conflict and passion. She builds her own myths while exploring issues of belonging, racism and the search for truth… after all, how can you find true love if you don’t know who you are and what you believe in? Dina’s key to developing characters is to figure out what they would be willing to die for. And then pushing them to that limit. Stationed in Tampa, FL, Develor Quinteele, sixth Knight of Flame, waits impatiently for the predicted emergence of the last Gray Lord, his Order’s ancient enemy. 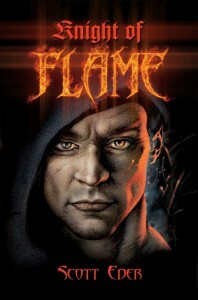 Hampered by a centuries-old tragedy, Dev knows of only one way to control his elemental power—rage. It broils just below his surface, waiting for the slightest provocation to set it alight. 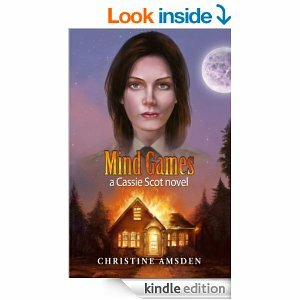 Since he was a kid, Scott wanted to be an author. Through the years, fantastic tales of nobility and strife, honor and chaos dominated his thoughts. After twenty years mired in the corporate machine, he broke free to bring those stories to life. Scott lives with his wife and two children on the west coast of Florida. Thanksgiving always makes me feel lucky. Even if I have a tendency to stress over the stuffing, the seating arrangements and the lumps in the gravy, I love this fantastic holiday. It encompasses all of my favorites: family, friends, food and fun. Every year, before we sit at the table, our family gives thanks for the blessings in our lives. So I thought we should do the same here, from my writer’s point of view. My family and friends, who support me and my writing with love, patience, grace and enthusiasm. Without them, even writing loses its meaning. The craft of writing–gift, blessing, curse and obsession. I’m thankful for every word, sentence, paragraph and chapter; for every story, novel and series; for every idea, image and dream; for the pure joy of writing. My writer friends, whose flames light my way and brighten my nights. The editors who help me become a better writer and who care enough to point out the obvious as well as the obscure. The publishers who invest in our work and the talented teams that bring our books to market, including the cover artists, book designers, proof readers, line editors, support staff and everybody who contributes to the creation of something as unique and special as a book. Thank you for being part of our stories. Those who help us promote our work: agents, public relations specialists and especially all those fantastic bloggers and reviewers who showcase our books. Finally, I’m especially thankful for my readers, for their encouragement, enthusiasm and praise. They are the reason why authors like me keep writing. 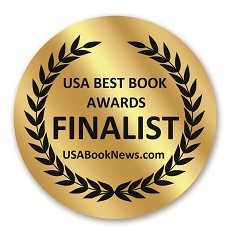 I am delighted to announce that The Curse Giver is now an award-winning finalist in the fantasy category of the 2013 USA Best Book Awards, sponsored by USA Book News. Now in its 11th year, the USA Best Book Awards is one of the largest mainstream book award competitions in the United States. I’d like to congratulate all of the winners and finalists of the USA Best Book Awards. I’d also like to thank the judges for their hard work sifting through such a talented field and for awarding this distinction to The Curse Giver. Huge thanks to all the folks who worked on The Curse Giver and especially to Lida Quillen of Twilight Times Books, for putting together a terrific book. You all know that writing is an indulgence to me, a selfish, satisfying pursuit. I don’t write to win contests and I’m always amazed when I do, but every once in a while it’s nice to get a pat on the back from folks who know what they’re doing. LOS ANGELES – USABookNews.com, the premier online magazine featuring mainstream and independent publishing houses, announced the winners and finalists of THE 2013 USA BEST BOOKS AWARDS on November 14, 2013. Over 400 winners and finalists were announced in over 100 categories. Awards were presented for titles published in 2012 and 2013. Jeffrey Keen, President and CEO of USA Book News, said this year’s contest yielded over 1500 entries from mainstream and independent publishers, which were then narrowed down to over 400 winners and finalists. Winners and finalists traversed the publishing landscape: St. Martin’s Press, Random House, Simon & Schuster, Penguin, John Wiley & Sons, Farrar, Straus and Giroux, Hay House, Llewellyn Worldwide, Thomas Dunne Books, Oxford University Press, American Cancer Society and hundreds of independent houses contributed to this year’s outstanding competition. USABookNews.com is an online publication providing coverage for books from mainstream and independent publishers to the world online community. A complete list of the winners and finalists of The 2013 USA Best Book Awards are available online at http://www.USABookNews.com. The holidays are upon us and my guest blogger today is the talented author of The Coal Elf, Maria DeVivo. 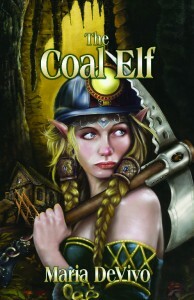 The Coal Elf is about Ember Skye, a teenage Coal Elf with a big ashy chip on her shoulder. Having been torn away from a carefree life and forced into a world of dirt and darkness has started to get the best of her. And being the only girl-elf working as a coal miner at the North Pole doesn’t help much either. She wants to go home and yet she can’t. When a mysterious illness threatens to decimate elves both Above and Underground, Ember is thrust into a journey that will see her confront the literal and figurative demons of her past and lead her to the head of the North Pole himself. Yes! Santa is real. But this isn’t your childhood Christmas tale. The Coal Elf is an original, dark and evocative tale with a different take on Christmas. Scroll to the bottom for a peek at this unique story and help us drive it up to the top of Amazon’s charts by buying The Coal Elf at a special holiday price of only $2.99! And now find out why There’s No Place Like Home during the holidays. What’s the old saying? “Home is where the heart is.” It must be true because one of the prevalent themes in story-telling is the concept of Home – Having one, being a part of one, rejecting one, leaving one, desperately trying to find your way back to one. Humans have an innate honing device that draws us to a nostalgic place of comfort and love. Some of the most influential stories of our time use HOME as a central theme. After having experienced the wonder and glory of Oz, Dorothy said there was no place like it. Her journey brought her to the realization that her black and white world of farm animals and twisters was really where she belonged. Thrust onto an island while the war-torn world around them has no idea of their whereabouts, the children in The Lord of the Flies are in constant pursuit of returning home while in the process, create a home. And more recently, Katniss Everdeen initially strives to win The Hunger Games to go where? Back Home. In The Coal Elf, Ember Skye deals with this notion of Home from the moment she is called to her Life Job. When she is sent to the Mines, her memories of her life Aboveground grip her so tightly that she is almost blinded by nostalgia. The entire novel follows her path of dealing with those memories, confronting certain realities, and altering her own perceptions as to where she belongs, where she fits in, where she’s meant to be. So what is HOME? What defines it? For me, it’s an unseen structure made up of memories. Spring birds singing in the morning as I waited for the school bus. Running outside on a cool summer night to flag down the ice cream truck. Standing on tree stumps in my backyard as dead leaves fell from the autumn trees. The smell of my father’s work boots in the hallway. Cuddling with my sister on Christmas Eve. Coming home from school and being so angry with my mother for cleaning up my room. My uncle’s voice booming as he and my mother sang Kenny Rogers’s songs. My concept of Home expands far beyond the actual dwelling itself, and now I’m making a Home for my daughter, hopefully helping to build those memories of love and comfort she will seek refuge in her future. Maria DeVivo is a New York native who has had a lifelong love affair with “the pen.” A graduate of St. John’s University, she has a passion for all things mystical and mythological. She has taught 7th grade Language Arts since 2000, and in 2010, designed the curriculum for an academic elective course entitled Folklore, where she was able to share her passion and knowledge on concentrated topics such as folktales and mythology with her students. Having grown up in a large Irish/Italian family (where Maria is the oldest child, and of course, the wisest) the mystery and wonder surrounding the holidays were a main staple of her upbringing. At the age of seven, when her mother finally admitted “the truth” to her, she has become somewhat of a “Santa-phile”, an obsession that has rooted its way into every fiber of her being. Maria is one of those people who cries when Santa makes His grand appearance at the Macy’s Thanksgiving Day Parade. Coupled with an obsession for all things dark and demented, her debut novel, The Coal Elf, was born. Maria now lives in Florida with her husband, Joe, and daughter, Morgan. When not teaching or writing or running around after her daughter, she enjoys drinking iced coffee, watching horror movies, and playing video games. Ember Skye is a fed up teenage Coal Elf with a big ashy chip on her shoulder. Having been torn away from a carefree life and forced into a world of dirt and darkness has started to get the best of her. And being the only girl-elf working as a coal miner at the North Pole doesn’t help much either! Then there’s Sturd: a power-hungry, twisted elf with a checkered past and a serious grudge against Ember. Slowly but surely, his maniacal tendencies are revealed, leaving Ember with the sacred “Naughty List” literally in her lap. When a mysterious illness threatens to decimate elves both Above and Underground, Ember is thrust into a journey that will see her confront the literal and figurative demons of her past and lead her to the head of the North Pole himself. Yes! Santa is real. But this isn’t your childhood Christmas tale! “The teenage protagonist of Maria DeVivo’s debut novel, The Coal Elf, published by Twilight Times Books, November 2012, got screwed by “the Boss” of the North Pole. Imagine having your wonderful life and future destroyed when, instead of receiving the job assignment to make toys or bake cookies for a living, you were thrust into a gloomy, underground life of mining coal for the children on the naughty list. Ember Skye stole my heart from the first page as DeVivo describes her life as a Coal Elf and sets up the conflict and her epic battle with the antagonist, Sturd, a despicable, nasty elf who embodies evil. Do yourself a favor and read The Coal Elf–I highly recommend it. This is one of those books that should be made into a movie (Tim Burton are you listening?). Great characters, engaging plot, believable dialog, wonderful setting and, above all, writing that compelled me to keep turning the pages (that’s what we all really want as readers, right? ).” ~Daniel Springer, author of the award-winning The Wilco Project. Don’t forget! The Coal Elf is now available at a special holiday price of only $2.99!